The Goodwill Industries of Southern Arizona's GoodFutures program provides education, training and career placement opportunities for young adults. The first three months of the nine month program introduces students to various career fields through classroom instruction and field trips. 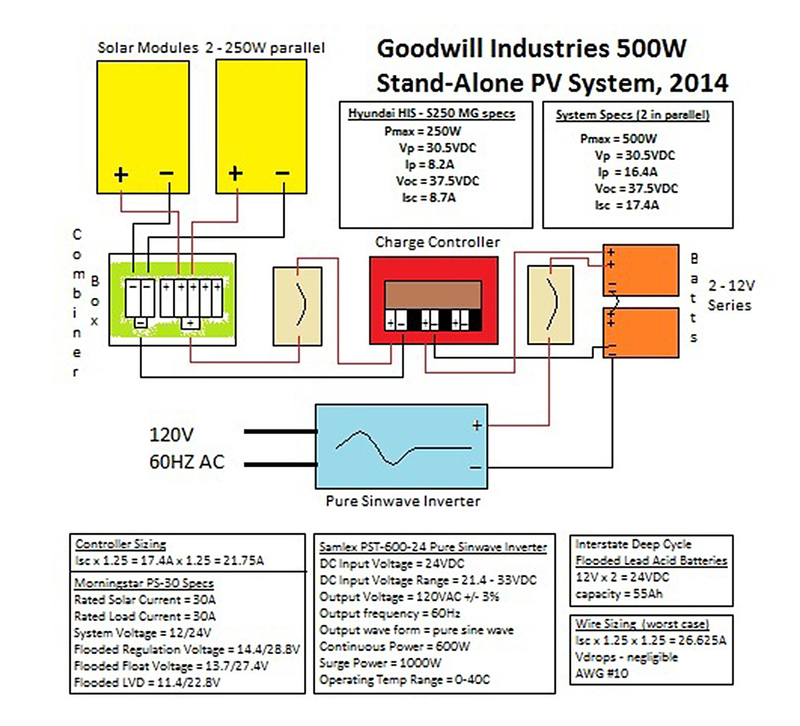 Jason Flores, of Goodwill Industries, approached the Solar Guild to help develop a 2-day solar technician training workshop that would involve building a small stand-alone PV system that could be incorporated into the GoodFutures curriculum. Modeled after the Girl Scout's 300W stand alone system, the 500W 24V system is a small ground mounted system that is also easily transportable; the 2-250 W Hyndai Solar Panels were mounted to a racking system generously donated by Schletter of Tucson. The electrical components, including a Morningstar PS-30 charge controller, 2 Interstate deep cycle 12V 55Ah batteries, and a Samlex 600W pure sine wave inverter were bolted down to a wagon. The system will be disassembled and then re-assembled by future classes.